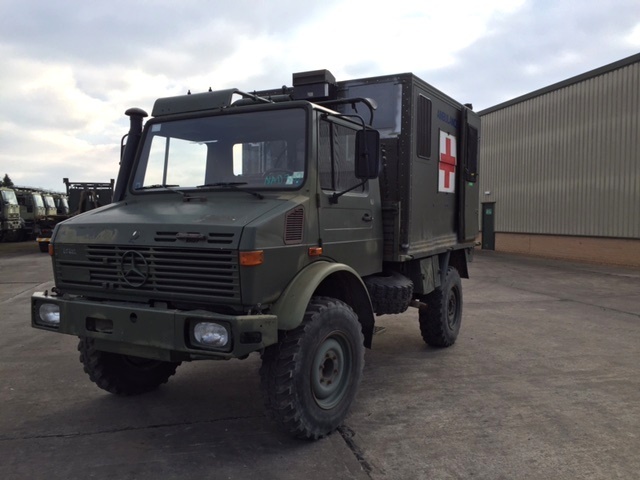 Mercedes Unimog, this name is synonymous with top quality German trucks. 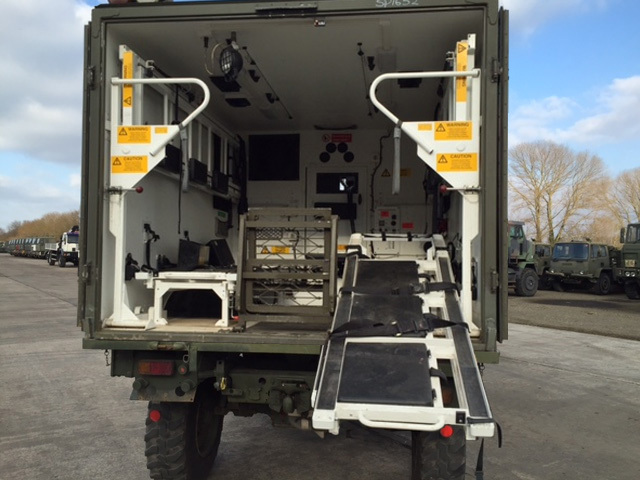 These vehicles are classed as a high mobility load carrier capable of traversing any terrain. 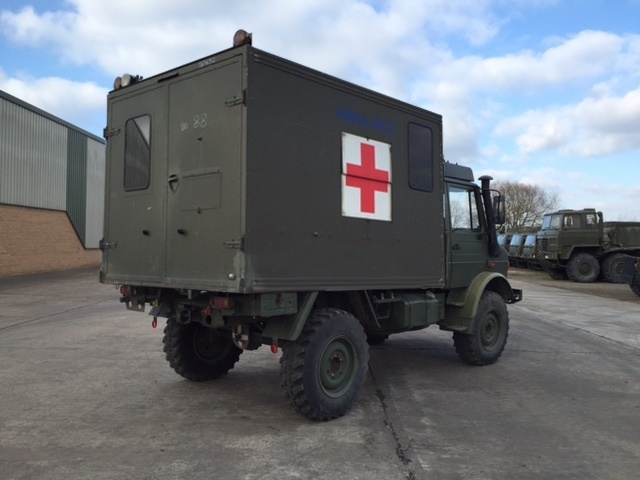 The design centres around the coil sprung suspension, making them an ideal off road ambulance. These machines are ex German military and as such they are all in excellent condition. These vehicles are fitted with a British Marshalls insulated body with heater system and lights. All 8F/4R speeds available in 4wd and 2wd. Claas Overdrive Gearbox: 22% ratio increase, works in any gear giving a total of 16F/8R. Portal Hub Axles, 6.53 total axle ratio. Cruises comfortably at 55 mph, maximum speed 62 mph. 10 mpg. True "Shift-On-The-Fly" driver controlled front axle engagement/disengagement. Driver controlled axle locks, both axles. Mercedes Unimog U1300L Crew: 1 + 2. Mercedes Unimog U1300L Steering:	Daimler-Benz ball nut hydraulic power steering. Mercedes Unimog U1300L Brakes: Hydraulic dual circuit brake system, disk brake, compressed air actuated. Automatic load compensation.